Satellite Shelters offers portable and modular classroom building solutions that ease overcrowding and meet your school’s growing needs. Our portable classrooms are a cost effective strategy to get you up and running quickly, so you can focus on what matters most: your students’ education. 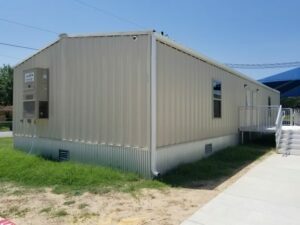 Portable and modular classroom buildings allow students and teachers to continue learning as you work to accommodate your growing student body. 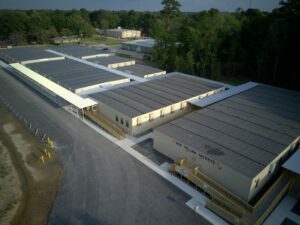 We have portable classrooms on standby for immediate delivery! 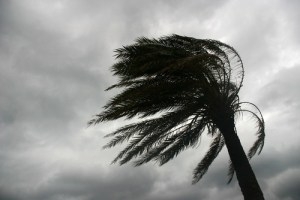 Call 800-453-1299 now to connect with your local branch or Request a Free Quote. View the most common floor plans by downloading our portable classroom buildings sheet. 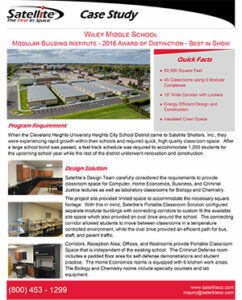 Take a look at our available inventory of readily available mobile classrooms and modular building solutions.